Join the Electric Vehicles Industry today! Exciting Jobs await. We’re Excited to offer you our Green Jobs for India! Come join the most exciting automobile workshop in the country, working on the largest range of electric vehicles in the country. With our dedicated R&D Center working on a host of solutions for a variety of industries, explore your horizons and discover possibilities you never knew before. Our passion is reflected in our work and team who put their creativity to the test with every new vehicle. We offer custom solutions to our customers, which means we are always making something new and challenging the limits of what we know and how we achieve it. If you’re looking for a job that excites you and gives you the freedom to explore possibilities, come right in – we have a place waiting for you! We work on the future, today. Which means you get to experience a whole new technology and become a part of the next big thing in the country. As we grow, so do you – so buckle up and be ready to experience an unforgettable journey. We welcome all sorts of experts from related fields and are equally enthusiastic about people who want to learn and grow with us. 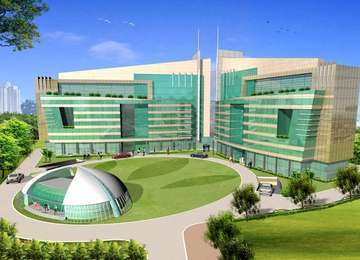 Speedways Electric is located in the sprawling campus of Spaze iTech Park in Gurgaon. A sales pro with extensive experience in the lead acid batteries industry is best suited for this dynamic position. Ability to deal with dealers, make new customers and understanding their requirements to keep them satisfied would be your core profile. Technical know-how of lead acid batteries with a drive to succeed will make you our pick! Minimum Experience: 3 years with background battery sales. A sound background in electric rickshaw sales with the confidence and ability to sell our superior range to not just national but international clients – is what we seek in our ideal candidate. You would need to work with passion and commitment to reach to our extensive network of current dealers as well as forge new relationship with prospective customers for booming sales. Must be willing to travel. Minimum Experience: 2 years with background in electric rickshaw sales. If numbers are your forte and auditing your favorite hobby – you’ll feel right at home with us. With a growing company to keep track of across its many accounting variables, we welcome you to join us for our most responsible position. If making customers happy is your passion and keeping them satisfied your belief – this is a position you’ll be exceptional at. We are a client-centric company that takes great pride in the testimony of our customers and we’re looking at someone who can retain that promise with their win-win attitude. With an ever expanding electric mobility market, we’re looking for a professional who knows the strings and can understand the potential of the business. Our ideal fill-in would be someone who has robust experience in the automotive industry and takes pride in their networking skills. Recognized as Fortune India's 40 under 40, the founder Mr.Sumit Aneja has been recognized widely for his innovation and contribution to green mobility.